As founder of creative studio Design I/O, Theodore develops large scale interactive installations, experimental interfaces and new tools for visualizing the unseen. This talk will go behind the scenes to reveal the process of creating these experiences, the tools and techniques used and the lessons learned along the way. Theodore Watson is an artist, designer and experimenter whose work is born out of the curiosity and excitement of designing experiences that come alive and invite people to play. Theodore’s work ranges from creating new tools for artistic expression, experimental musical systems, to immersive, interactive environments with full body interaction. His recent work includes the Eyewriter, an eye controlled drawing tool, Graffiti Research Lab’s Laser Tag a laser graffiti system and Funky Forest, an immersive interactive ecosystem for young children. 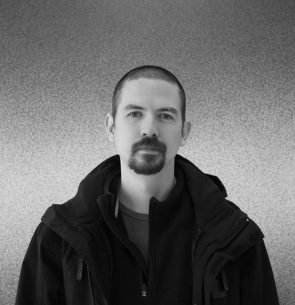 He is co-founder of creative studio Design I/O, which specializes in the design and development of cutting edge, immersive, interactive installations, and co-founder of the openFrameworks project, an open-source library for writing creative code in C++. His work has been shown at MoMA, Tate Modern, Ars Electronica, The Sundance Film Festival, Res Fest, TIFF Kids, REMF, Cinekid, Montevideo, OFFF, SHIFT, ICHIM, The Creators Series, Deitch Projects, Eyebeam, Pixel Gallery, and Museum N8 Amsterdam.